Hunter Douglas Duette blinds will block light and insulate from heat and cold. Two birds. One stone. Did you just move? Have you been thinking about custom blinds? We hooked up with our in-house blinds expert Roslyn Ashford of ra reD0es rooms about the questions she gets most when talking to clients about choosing and installing blinds — and we had her answer them. If you still have more questions, get in touch with her or stop by 5th Street Ace, Old Takoma Ace or Tenleytown Ace to check out the options. Q: What is going to determine the type of blinds that I will need? A: First, you’ll want to assess your window treatment situation (or lack thereof). Are you suffering from too much sunlight, intrusive view from the street or neighbors, not enough insulation, or a combination of these? How much will your décor play into the occasion? The answers to these questions will begin to point you down the road of picking out blinds that fit your specific needs. Q: It is way too bright in my space. What is the best product to blackout the sun? A: Either roller or honeycomb shades. These are both simple treatments yet do the best job of blocking light. Duette line of honeycomb shades from Hunter Douglas does a fantastic job of blocking the sun and provides a number of lifting and corded options for a true custom fit. 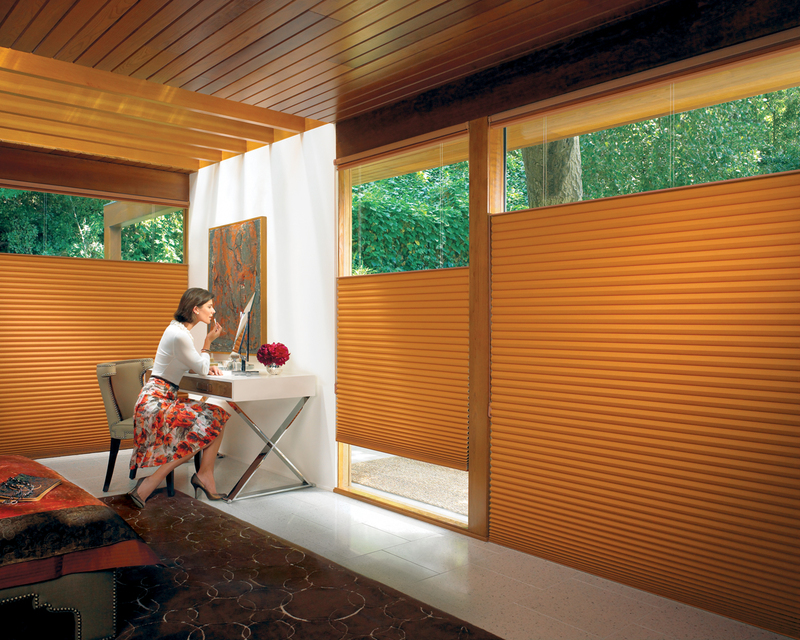 Hunter Douglas also sells roller shades (both fabric and screen) with blackout functionality. The best way to ensure no light comes into the room is to request that shades are mounted outside of the frame of your window. This means the treatment would hang 3 to 4 inches wider than the window itself if possible. Q: What do I match the blinds to – furniture or walls? A: When windows have no trim or molding, which is common in new construction and condos/apartments, matching to the wall has the effect of the blinds fading into the wall. Conversely, if you match blinds to your décor, then the blinds will typically stand out against the wall. If the windows have window trim or molding, then you can match to either the molding or to the walls. If you match to the molding, then the entire window stands out, but if you match to the walls, then just the molding will stand out. Either way, keep in mind that window treatments come in lots of colors but not as many colors as paint. So if you are thinking of painting a bold color, factor in the window treatments before you paint! Q: How long would it take for custom blinds to arrive, once ordered? A: Blinds ordered from our Ace Hardware stores in DC typically take seven to ten business days for completion, although it is common for us to receive blinds in as quickly as three days. Q: It’s cold out! What should I be looking for if I want insulation with my window treatments? 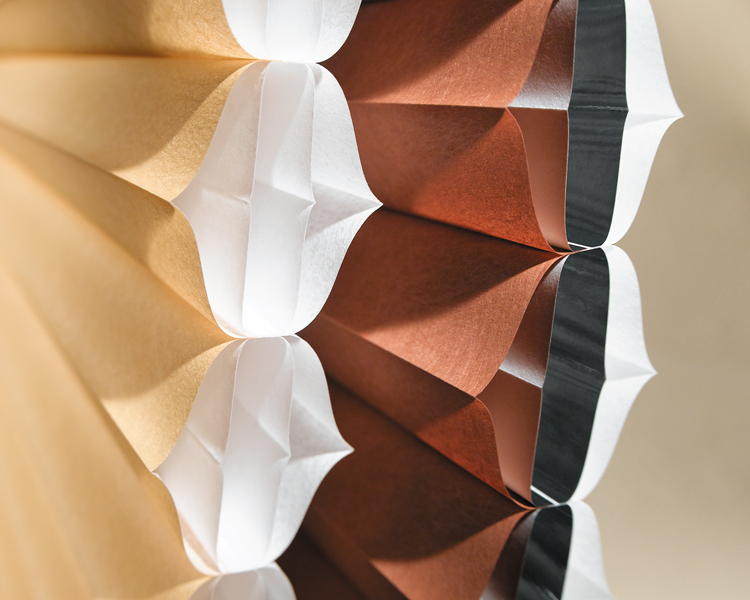 A: Duette’s honeycomb shade with Architella provides the most insulation with three insulating air products as well as an extra inside cell to block out cold air in winter and hot air in summer. Q: What do custom treatments cost? A: Custom window treatments are priced higher than off-the-shelf treatments because they offer more functionality and options. You can order shades that will drop down from the top of the window (as opposed to only rising from the bottom), manual cordless shades, remote control shades, shades that let you manage the light between sheer and blackout — and so on. Based on these options, pricing for custom shades typically starts around $200 and goes up from there. However, what you end up paying is completely dependent upon the size of your window and the product, fabric and options chosen. We also offer on-site installation by a professional installer, should you need those services. Picking out the right blinds for your home can be a tricky process—don’t even get us started on window measuring! To help take out the guesswork, our interior designer Roslyn Ashford of ra reDoes rooms will be keeping Saturday office hours at our Tenleytown and Logan Circle locations starting February. Bring in an interior pic of your windows and spend some time going over the custom Hunter Douglas options we carry. While you’re there, schedule a house call to get your windows measured. Or, email pics (with name & phone number) ahead of time to redo[at]rarooms[dot]com. p.s. There are a number of energy-savings rebates going on through Hunter Douglas so if new blinds are in the cards for you, this is a GREAT time to purchase. Snow glare got you down? This woman knows nothing of glare with her Architella Easyrise by Hunter Douglas. Well why don’t you put up some blinds already? We always recommend buying the best products you can afford because, as with all things with moving parts, they start to not work so well after a while. That, and you get better coverage and sometimes even some insualting properties for cold- and hot-weather months. We just got Hunter Douglas window treatments for 5th Street Ace Hardware, Tenleytown Ace Hardware and Old Takoma Ace Hardware when it opens in the spring 2010. They are very pretty – our favorites include the energy-efficient Duette Honeycomb Shades, Silhouette Window Shadings and Luminette Privacy Sheers, as well as Provenance Woven Wood Shades and Country Woods Wood Blinds. Measure the width inside the window opening at the top, middle and bottom. The top measurement is critical because the headrail must fit. Record the actual dimension of the shortest width to the nearest one eighth of an inch. Measure the height inside the window opening at left, right and center. Record the actual dimension of the shortest height to the nearest one eighth of an inch. Also measure the window on its diagonals. If the two diagonal dimensions are not exactly the same, it may be necessary to specify an outside mount for optimal fit, light control and privacy. The ordered width should ensure a precise fit for the headrail and allow proper operation of the shade. If widths in the window vary, order the minimum width necessary to allow the shade to raise and lower properly. The ordered height should ensure clean operation at the base of the window as well as provide maximum privacy and light control. Be sure the window opening is deep enough to install the mounting bracket. Measure the desired width and height. To minimize light leakage, the shade should overlap the window opening at least 2 inches on each side and at the bottom. When measuring the height, take into account the requirements for mounting the bracket attachment.